We have all the top brands you’ve come to rely on over the years. As an authorized dealer for Parker, we’re an especially good choice for authentic Parker pumps. We also have all the other components you need to install your new hydraulic pumps in El Monte CA including hoses, connectors, and seals. Because the quality and efficiency of your pump can affect the stability of power delivery in your equipment, choosing the best pump is very important. 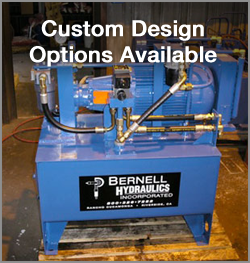 Asking for advice from the pros at Bernell Hydraulics is an excellent way to make sure you get a high-quality pump. Our company has been around since 1977 and during our many years in the business we’ve gained valuable insight into which hydraulic pumps in El Monte CA tend to perform well in a given application. While we do pride ourselves on providing quality parts at a reasonable price, that’s not all you get when you shop with us. We can also send a tech out to your job site to install the new part right into your equipment and get you up and running as quickly as possible. We also offer diagnostics and maintenance for your hydraulic system, which helps identify problems before they have a chance to cause a failure.